That's right, for your legs only. Sit in a chair, put your legs in the end of this special unit and with the unique bulbs, you will get the tan you desire on those hard to tan legs! 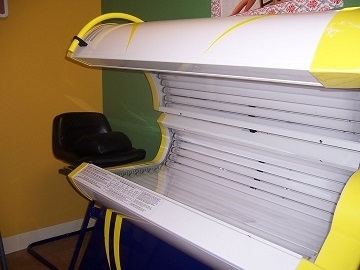 High Pressure Tanning at its best, putting out tanning rays 8 to 10 times that of a regular bed with little or no burning. 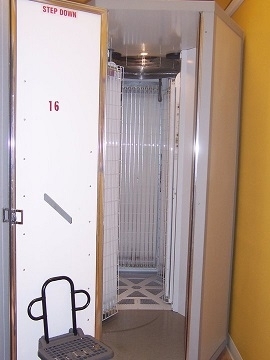 We guarantee a tan in as little as 4 visits when visits are taken within a 14 day period, and appropriate lotion & sticker are used. We will accomadate walk-ins if possible but we recommend scheduling in advance. Please be prepared to begin your session on time. If you must cancel, please allow us at least 2 hours so that we may offer that time to someone else or a visit will be deducted. This 20 minute VHO (Very High Output) bed has unique sun-surround design with deep-dish surface. 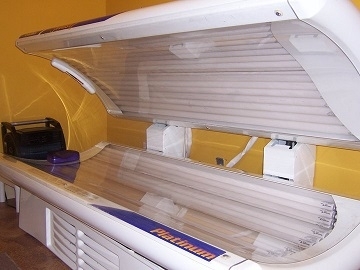 This unit is able to supply 3X the tanning power of a conventional bed. 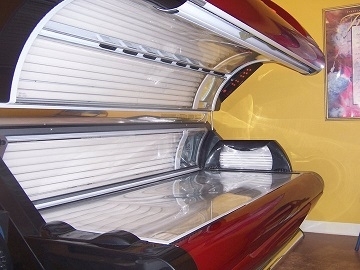 A VHO STAND-UP Wind Tunnel, with 60/170 watt bulbs putting out 5X the tanning power of a tanning bed in just 9 minutes! It also helps eliminate tan lines. 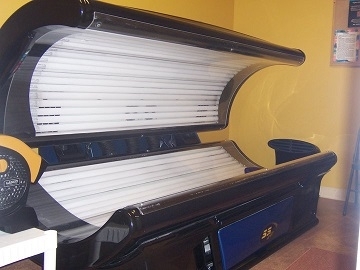 A VHO Bed, it has 7 shoulder lamps, four 500 watt facial tanners PLUS 48-170 watt tanning lamps. The body wave acrylic virtually eliminates all pressure points. This bed has 5X the power of a conventional bed in only 12 minutes. 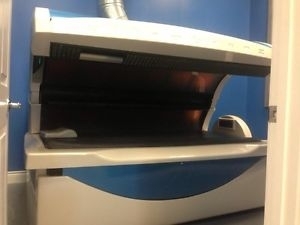 UV-Free SELF-TANNING booth - This patented micro-spray technology uses the human body's magnetic properties to deliver full, even coverage that quickly darkens to a rich, natural looking tan that looks great all week. With this new HD technology you can choose from 4 different levels of darkness with add-on options to increase the intensity of your spray tan. It is great for non-tanners, ex-tanners or even current tanners who want darker color quick. Found only at JoyDell's in White Hall.